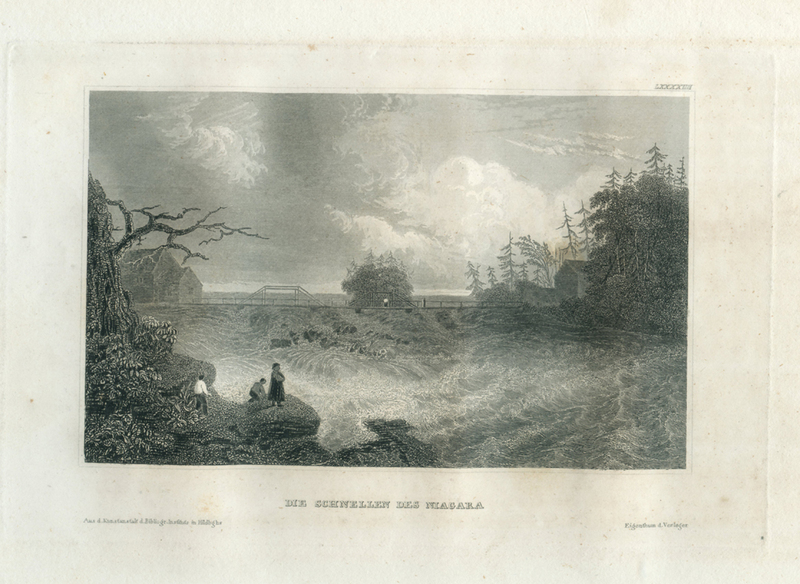 Antique copper plate engraving by Herrmann J. Meyer of The Rapids Of The Niagara (Die Schnellen Des Niagara), c. 1836. Herrmann J. Meyer and his father, Joseph Meyer, were German publishers of an illustrated travel series called Meyer’s Universum. 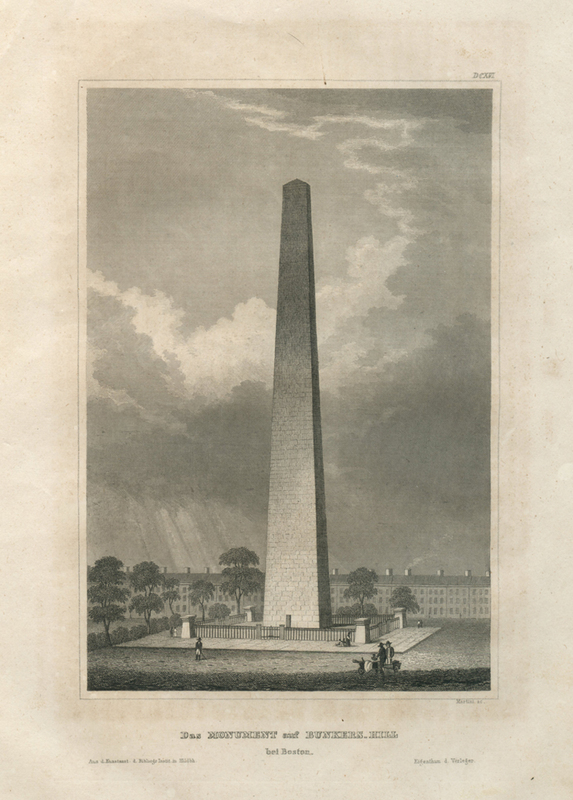 Joseph Meyer very much admired the United States and sent his son to establish a publishing house in New York. 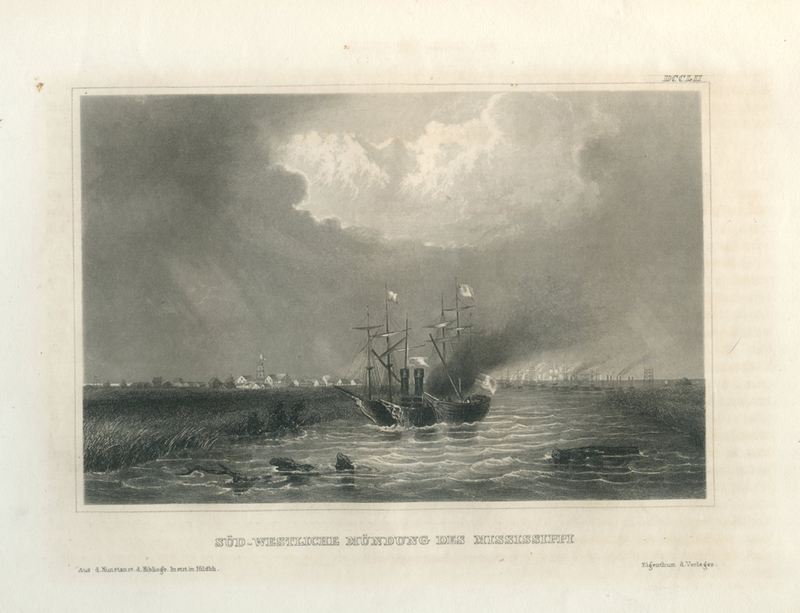 Herrmann proceeded to publish an American edition of the Universum, but also desired to publish a new series of his own called, The United States Illustrated. Unfortunately, the series did not do well, and Meyer decided to return to Germany. After the death of his father, he assumed control of their Bibliographischen Institut which is still in business today. 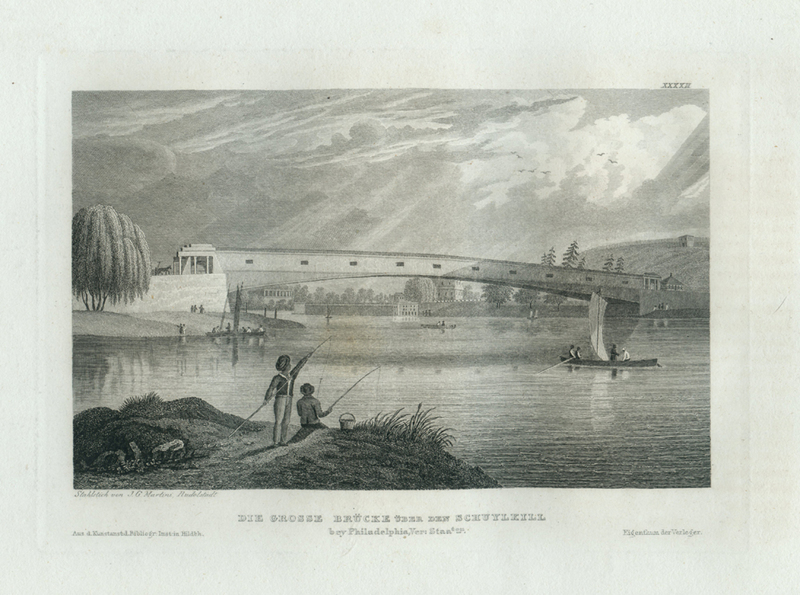 The prints from Meyer’s various publications are mostly based on first-hand renderings and are finely engraved.